So Facebook had its chair and reviews were mixed. We liked it. Most didn't But that's how we roll. Now there's another chair in town and this one's really bad. The Good, the Bad and the Ugly-bad. 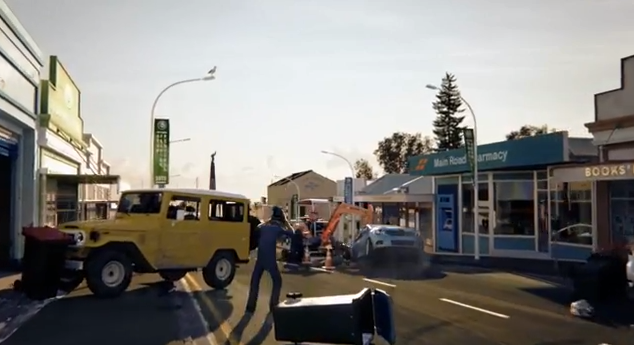 From Draftfcb New Zealand comes this animated work of wonder for New Zealand insurance company NZI. Entitled "Devil's Chair," the ad shares the horrors one desk chair unleashes on unsuspecting occupants as it is passed from one to the next. The results is a sequential Rube Goldberg-style disaster of epic proportion all of which ends with the tagline, "Bad's not going anywhere. Neither are we." It all makes us want to run over to Netflix to see if they have The Good, The Bad, And The Ugly to stream. And...they don't...but Amazon Prime does!